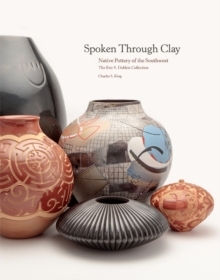 This book includes nearly three hundred pottery vessels covering a wide range of contemporary artists and a few important historic pieces. The book includes portraits and voices of renowned Native artists -- the majority of whom are Pueblo -- speaking about their artistry and technique, families, culture, and traditions. Dynamic colour photography captures the depth and dimension of the pieces, while the artists provide an illuminating perspective through narrative captions. 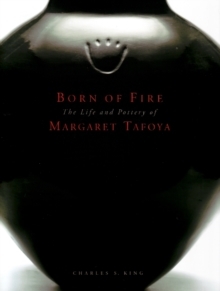 Artists, academics, collectors, family members, and gallerists add additional insight about the lives, historical context, and importance of these potters and their work. The Dobkin collection has a unique and distinctive focus on the aesthetic of the vessel, specifically on design, form, and scale. Featured artists include Maria Martinez, Popovi Da, Grace Medicine Flower, Dextra Quotskuyva, Jody Naranjo, Harrison Begay Jr., Lonnie Vigil, LuAnn Tafoya, Steve Lucas, Tammy Garcia, Virgil Ortiz, and many others.